The key to lasting protection against influenza may be in your bones. The cells that naturally protect you against illness originate and live in your bone marrow—and that is one spot where scientists will be looking to understand the human immune system's response to influenza in a groundbreaking new study led by the Human Vaccines Project. The goal is to harness an understanding of the immune system to develop longer lasting protection against the flu. In the new study, researchers will be conducting a comprehensive evaluation of the human immune system's response to influenza. "What's so exciting about clinical research now is that we have more robust tools than ever to ask questions about the immune system and to understand what makes people respond a certain way to vaccination or infection," says Dr. C. Buddy Creech, a pediatric infectious diseases specialist who directs the Vanderbilt Vaccine Research Program and is leading the clinical study at Vanderbilt University Medical Center. Subjects for the study are healthy men and women who will receive a standard influenza vaccination, and scientists will then take a sweeping range of measurements to analyze individual responses to the shot. Unlike some studies that focus solely on measuring the antibody response to the flu, this study will also include a look at gene regulation, the influence of the microbiome, and other factors, such as whether gender affects immune response. Importantly, the researchers will also take samples after vaccination from participants' lymph nodes and bone marrow where key immune cells reside. "By sampling the blood frequently and getting samples from lymph nodes and the bone marrow, we can provide one of the most comprehensive studies of the immune response to influenza that scientists have ever been able to undertake," says Wayne Koff, CEO and president of the Human Vaccines Project who presented on this study at the World Vaccine Congress this week in Lisbon, Portugal. "Such work will accelerate the development of more effective influenza vaccines and may lead to the development of a universal influenza vaccine that provides durable protection against influenza even as it changes from year to year. The study will also help elucidate mechanisms of the human immune system that are universal to how people fight disease." For some pathogens like hepatitis B, scientists know the exact type of immune response needed to provide durable protection through vaccination. For more complex and constantly changing pathogens like influenza, scientists do not yet fully understand what it will take for someone to be immune to the pathogen for a prolonged period of time. This gap in understanding is one of the primary hurdles to developing universal vaccines the provide lasting protection against different strains. "From the moment many of us arrive in medical school and start seeing patients, we become very curious about why some individuals do not develop a specific infection, why some are seemingly mildly affected by it, and still others are profoundly devastated by what turns out to be the exact same pathogen," Creech explains. "We must seek to understand why the body's response in each case is different." To find answers, the nonprofit Human Vaccines Project has established a global consortium of researchers to systematically decode the human immune system in order to create better prevention, diagnostics, and treatments for a range of diseases. 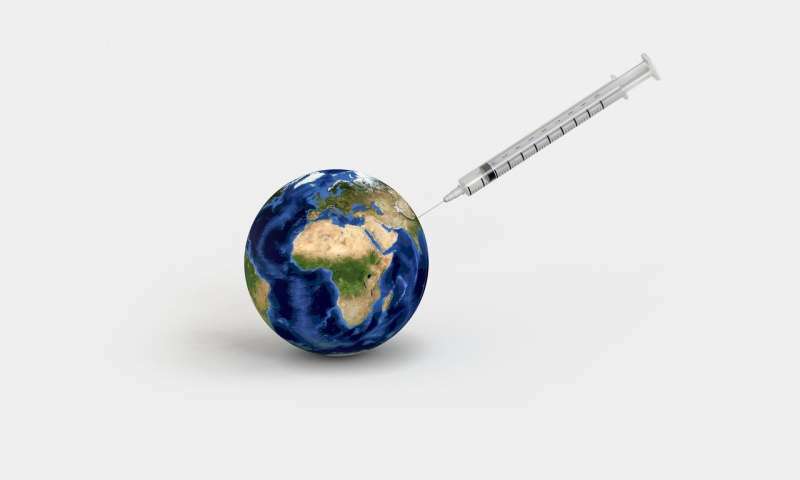 Under the collaboration, Seqirus, one of the largest influenza vaccine manufacturers in the world, will be providing the vaccine, while Vanderbilt University Medical Center leads the clinical study, with scientists from the University of British Columbia, Telethon Kids Institute in Australia, University of California, San Diego, J. Craig Venter Institute, the Scripps Research Institute, and La Jolla Institute providing expertise and analysis. This network of field-leading scientists is not merely focused on influenza, but seeks to decipher how the immune system responds across various disease areas. "This study represents the Human Vaccines Project's next step in applying comprehensive measures of the human immune system to specific diseases, in an effort to understand the common principles guiding the generation of protective immunity," says Ian Gust, chairman of the Human Vaccines Project Board of Directors. "Our world-class network is creating a new platform for understanding the human immune system that will allow us to develop a better arsenal for fighting disease."